Do you ever wish there was a built in breakfast table in your bed? So Sunday morning coffee or Friday night wine have a place? Or Tuesday night laptop work while watching your favorite show. My sister Phebe recently had her first baby, and needed just such a thing to stay close to the baby while still getting a little work done, or maybe even finishing a much needed cup of coffee. Of course, you can’t just go out and buy such a thing, so she called me up and put in an order! What do you think? We love how it turned out, esecially the functionality and the simplicty of the build! 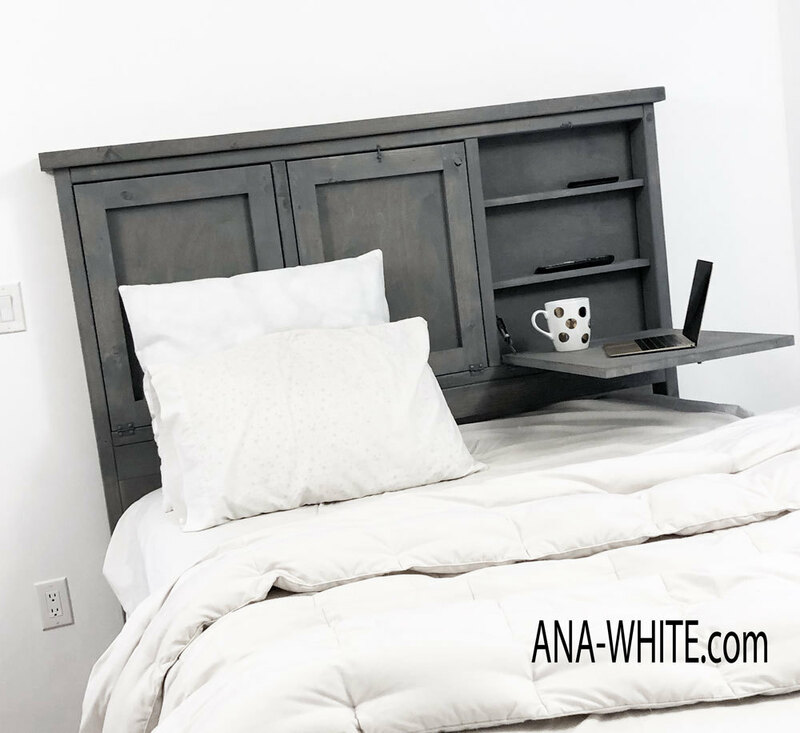 As promised, you’ll find the plans for this storage headboard with tray tables below! PS – Come back and share a photo or two when you are done – we love seeing your finished projects!